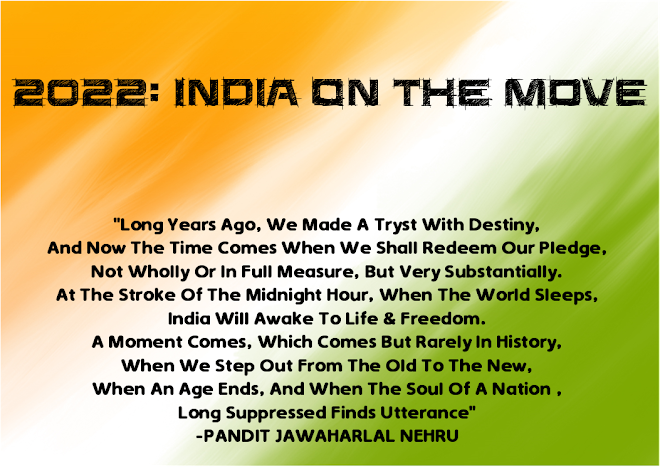 Twenty22-India on the move: The highest bribery rate ! India had the highest bribery rate among the 16 Asia Pacific countries surveyed by Transparency International. 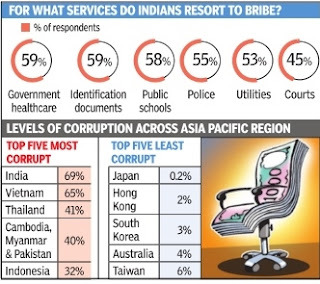 Nearly seven in 10 Indians, who had accessed public services, had paid a bribe, a bulk of them for access to government healthcare and for procuring documents.Contrast this with the least corrupt country: Japan, where only 0.2% of the respondents reported paying a bribe. The only silver lining is that over a half of the respondents from India were positive about the government's efforts to combat bribery . About 63% of respondents in India also felt that they, as individuals, had the power to fight corruption. The Global Corruption Barometer for the Asia Pacific Region was released by Transparency International, an anti-corruption global civil society organisation. Approximately 90 crore people, or just over one in four, across 16 countries in Asia Pacific, including some of its biggest economies like India and China, are estimated to have paid a bribe to access public services. TI spoke to nearly 22,000 people in these countries about their recent experiences with corruption. 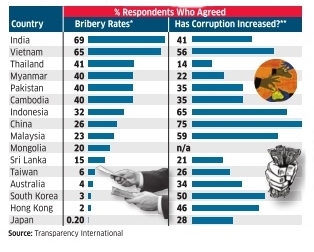 Across the Asia Pacific region, just 22% of the respondents thought that corruption had decreased over the past twelve months while 40% of the respondents (41% in India) were of the option that it was on the rise. In mainland China 73% of the respondents felt that the level of corruption had worsened. This was the highest of any country surveyed. For the purpose of this survey, TI concentrated on bribes paid for procuring six key public services viz: public schools, public hospitals, official documents (such as identification card, voters card), public utility services, the police and courts. In India, payment of bribery dominated for services relating to access to government healthcare and procurement of documents. 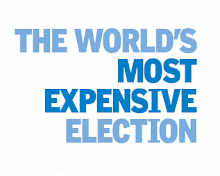 The right to public services is severely undermined by the high bribery rates. Bribery often hurts the poorest and the vulnerable the most. In Asia Pacific, 38% of the poorest people have paid a bribe, which is the highest of any income group. 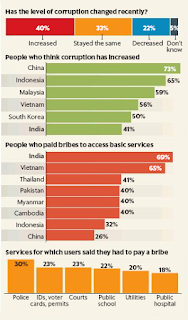 Nearly 73% of those who paid a bribe in India were from the poorer sections of society; in Pakistan and Thailand, this percentage was 64% and 46% respectively. 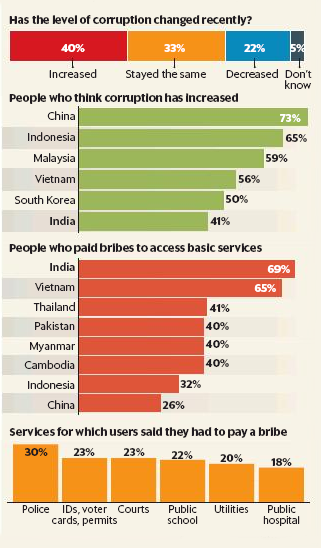 Surprisingly, a reverse trend was found in some countries such as China, where the richer sections (31%) were more likely to pay a bribe ­ perhaps to get quicker or better quality of service. As many states in India, already have in place the `Right to Public Services Act' cutting across a number of services, which require that services be delivered within a stipulated time period, the survey results point out the need for further improvement.